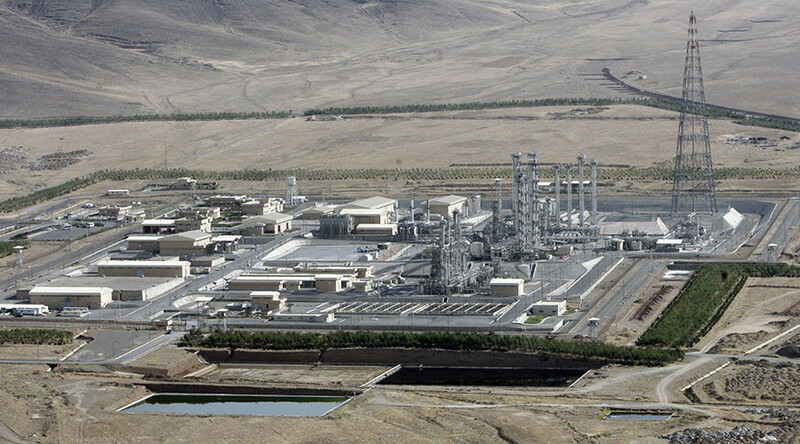 Iranian and US officials have confirmed that concrete was poured in the central vessel of Iran’s Arak heavy water reactor following the removal of its core, bringing Iran closer to meeting the requirements for having international sanctions on it lifted. US State Department spokesman John Kirby confirmed that cement was poured into the core of the Arak reactor, thus destroying it. Iran’s Atomic Energy Organization spokesman, Behrouz Kamalvandi, had confirmed this information earlier, saying that the work had been completed on Wednesday. “Yesterday we finished the central part and the openings have been filled with cement,” he said as quoted by AFP. Kamalvandi’s announcement, which was reported by state TV, comes days after he said that the reactor would be disabled this week. "The core vessel of the Arak reactor has been removed ... and IAEA inspectors will visit the site to verify it and report it to the IAEA ... We are ready for the implementation day of the deal [signed with international powers in July 2015]," he said. Kamalvandi added that the core will now be filled with concrete to make it unusable. "The core was initially supposed to be cut into parts, but we did not accept this as we want to keep it as the symbol of Iran's nuclear industry," he said. The reactor core was capable of producing plutonium and its fate was a major point of disagreement during the negotiations between six leading world powers and Iran, which eventually resulted in a deal last year. According to the agreement, the reactor is to be retrofitted with the help of foreign specialists to be used for research projects and the production of medical radioactive isotopes. The deal with Iran resolved a decade-long conflict over Tehran’s controversial nuclear program. A number of countries, including the US and Israel, accused the Islamic Republic of trying to secretly develop a nuclear weapon - something Tehran denied. The deal provides safeguards that would allow Iran to pursue civilian nuclear projects while ensuring it would not seek to build a nuclear bomb. Iranian and US officials have said that the so-called “Implementation Day,” which would mark the moment when Iran fulfills its part of the nuclear deal reached in July 2015 and international sanctions imposed on it could be lifted, will “come soon,” possibly as early as Friday or Sunday, AFP reports. The Obama administration hailed the agreement as one of the major wins of his presidency. Obama’s critics in the Republican camp, as well as politicians and government officials in Israel, decried it as a defeat and surrender to Tehran’s nuclear ambitions.